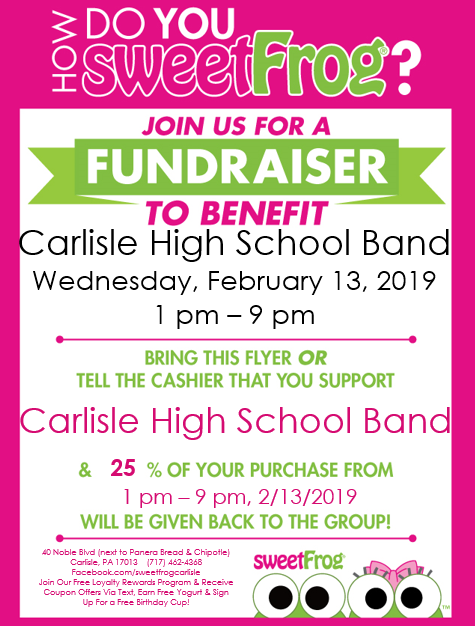 On February 13, 2019 the band will have not one but two restaurant fundraisers! You have your choice of eating at either Panera Bread or SweetFrog, or BOTH. For more information click here. Money earned will go towards our indoor guard and indoor percussion ensembles. 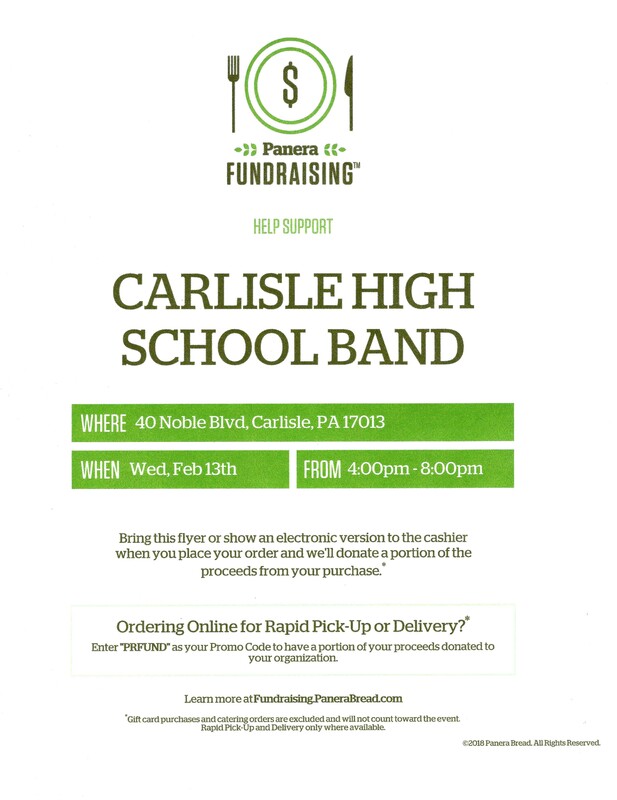 Bring flyers with you when you come and support our band programs!